Inflatable Bladder available us in silicone and rubber finish so as to perfectly match up with the end working requirements of the customers. 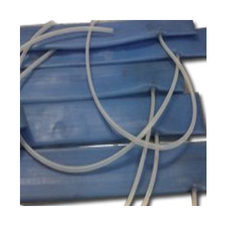 Here, our expertise lies in making these available in standard sizes including with 85mm x 760mm long x 1mtr tubing connector; 50mm x 300mm long x 1mtr tubing connector and 70mm x 350mm long x 1mtr tubing connector. These are also made available with pressure withstanding capacities of 1kgf/cm2 that provides for durable usage values in these bladders. Looking for Inflatable Bladder ?